Discussion in 'Rate My Team' started by Annoying Orange, Nov 13, 2016. It's been 4 years since I've posted an RMT, so this may be a little rusty. Basically, I am the God of Metronome, and always have been. When PO was in its prime, I sat atop the Metronome ladder with ease until I left. I've beaten everyone I could think of in this tier and wasn't really feeling any competition prior to leaving. Recently, I came back to Pokemon Online from a 2+ year hiatus, meaning things were different now and I had to adjust. After several modifications, I have created a follow up Metronome team to not only close this generation, but (due to lack of new Pokemon getting metronome next gen) rule over the next. 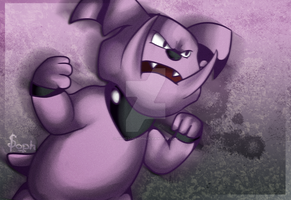 Hugs so far has been a literal game changer in metronome, acting as an antilead to the oh-so popular lead Mewtwos. This is one reason I personally made Preview Metronome a more common thing. Regardless of what simple minded people think, Metronome requires skills and strategy. With that in mind, I will also provide some calcs from common metronome leads as well as some calcs for hugs. As my 2011 Metronome RMT said, Jirachi wakes up once every 1,000 years. However, my metronome team is an exception. 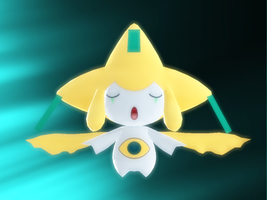 Jirachi has so much more potential than sitting on your teams and spamming Iron Head and U-Turn. 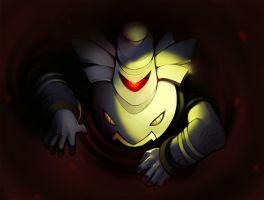 Jirachi is a very versatile Pokemon. It can use almost any move in the game, so why not let it. I mean, it has base 100 in every stat. Jirachi was put on this team to show off its coverage. I chose it to be my mixed attacker, but it is also sometimes my Cleric and my hazard setter. 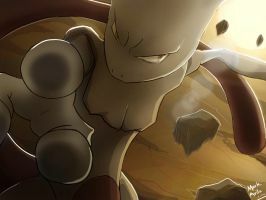 Mewtwo has always been a staple to many metronome teams. It's purpose is usually to come in and clean house. Mine isn't too different, but mine gives it a speed reducing nature as everything else to not hinder it in anything else which I consider more important in this tier. 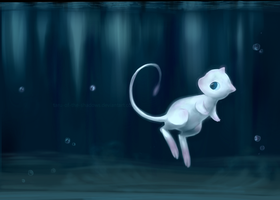 There aren't any calcs necessary for Mewtwo as he's not here for rolls and chances. Mewtwo is mainly sent in late game to ruin someone's day and it more than often does just that. Mew has often been known as more of a bulky rock setter or sometimes even a nasty plot sweeper, but I wanted to further utilize Mew's even large movepool thanks to a little waggling of the finger. Psychic is a great offensive type and I have Mewtwo to cover the special side of things while Jirachi takes the mid-split. This leave Mew to be our physical attacker. I stuck with Mew because not only is its physical attack nice, but everything else is base 100 so it's going to hold its own all around over other physical attackers. It has less weaknesses than former member Wendy the Celebi. Snorlax is part of my defensive core for this team. A huge part of this particular defensive core is being really nice at escaping Imprison. Snorlax is a special tank, but thanks to its massive HP, it can also take some physical attacks. It takes them even better due to its partner of this core, which I will get to after Snorlax. Eating up hits is always a great thing in metronome due to the limited PP. And often more than not, one of these two pokemon will heal off some of their chip damage after switching around and taking hits. This is a frustrating thing for many opponents. They usually click x at that point. Finally we have granny herself, Marry Sue. (Yes I spelled it like that intentionally) Marry is the other half of the switching anti-imprison core with Snorlax. At first, she was fully invested in bulk, but I found it not necessary. I made Marry slightly offensive just so she could score extra chip damage on a few notable things. Marry gets intimidate, giving the opponent an automatic attack drop. This makes hugs and Big Bluu great switch ins afterwards as they wall almost anything. Say what you want about the team, but it has been fully mastered to my knowledge and it's an amazing team if you know how to use it properly. Please let me know what you think can be improved. Thank you. Jethalal and Zoroark like this.